The terms “Automatic Anonymous Information” and “AAI” refer to information we collect through this Website that does not, in and of itself, identify you personally. One example of AAI is your IP address. The term “Content”refers to all of the software and code comprising or used to operate this Website, and all of the text, photographs, images, illustrations, graphics, sound recordings, video and audio-video clips, and other materials available on this Website. The terms “Crocs,” “we,” “us,” and “our” refer to Crocs Singapore Pte. Ltd (and/or its affiliates or related corporations). The terms “Personally Identifiable Information” and “PII” refer to information about you that could permit one to identify or contact you, and include personal data as defined under the Singapore Personal Data Protection Act 2012. Examples of PII include your name, address, and email address. The term “User-Generated Content” refers to all of the text, photographs, images, illustrations, graphics, sound recordings, video, audio-video clips, and other material that you post on or through our Website using the social networking tools we make available to you and that does not constitute Feedback. One way that User-Generated Content differs from other information you provide to us is that, once submitted, User-Generated Content is made available on our Website to others. Examples of User-Generated Content are information you provide as part of a promotion and comments you make in response to a blog or social media post; Feedback is also considered User-Generated Content. The term “Website” refers to crocs.com.sg, including the Crocs online store, which is owned by Crocs Inc. and operated by Crocs Singapore Pte. Ltd.
We collect two types of information from visitors to the Website, “Automatic Anonymous Information,” or “AAI,” (which does not, in and of itself, identify you personally) and “Personally Identifiable Information,” or “PII” which is individually identifiable information about you that could permit one to identify or contact you. Information You Manually Provide. We collect the information, including PII, you manually provide (using your keyboard, touchpad, and/or mouse) when you use our Website. At various places on the Website, we may request certain PII, such as your name, phone number, email, billing address, and shipping address. You may choose to provide PII to access or use certain features or services of the Website, such as making a purchase, registering on the Website, entering a contest or sweepstakes, filling out a survey, or providing Feedback. Where possible, we indicate which fields of information are required and which fields are optional. You can always choose not to provide information. If you choose not to provide information, however, you may not be able to access or use a particular service or feature on the Website. Information From Third-Party Social Media Platforms. You may be able to register with, log on to, or enhance your profile on our Website by choosing to automatically populate the requested data fields with information you previously provided to a third-party social media platform. By doing this, you are asking, and providing consent for, the third-party platform to send us information from your profile on that platform. We treat that information as we do any other information you give to us when you register, log on, or enhance your profile. In addition to cookies, we may also use “web beacons” and other web technologies to manage our Website and email. A web beacon is a small bit of computer code. Web beacons may be used to count how many people visit a web page or tell us whether an email has been opened. We may link the information we collect using web beacons and other web technologies to PII. In order to conduct our business operations more smoothly, we may also be disclosing the PII you have provided to us to our third party service providers, agents and/or our affiliates or related corporations, and/or other third parties, whether sited in Singapore or outside of Singapore, for one or more of the above-stated Purposes. Such third party service providers, agents and/or affiliates or related corporations and/or other third parties would be processing your PII either on our behalf or otherwise, for one or more of the above-stated purposes. Please see the section titled "How Does Crocs Share the Information it Receives?" For more information on how we use PII collected as part of a contest or promotion. When you enter a contest or other promotion, we may ask you for certain PII to administer the contest, send you promotional emails, notify winners and make the winners’ list publicly available (pursuant to applicable law). Your consent to such promotional use and disclosure of this information generally is a condition of your participation. In cases where the contest or promotional offer is co-branded with or sponsored by another party, we may share your information with that party. Entering such contests and providing the required PII is solely your choice; you do not need to provide such information or enter such contests to browse or otherwise use this Website. 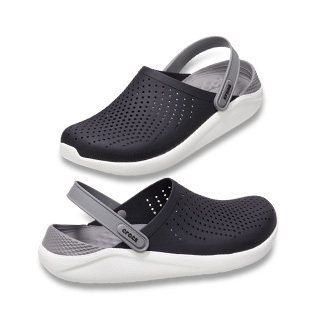 If you provide us with your email address as part of a purchase transaction on our Website, or if you choose to receive communications from Crocs, we may periodically send you newsletters, emails featuring exclusive sales and promotions, and emails requesting your Feedback on our products and services. In addition, if you make a purchase on our Website, we will send you order and shipping confirmation emails. You can remove your email from our email list at any time. To learn how, read the “ Accessing and Updating Your Information” section below. You may also click on the “unsubscribe” link in every Crocs email or send an email to customerservice_sg@crocs.com with “Opt-out” in the subject line. Unfortunately, no website, server, or database is completely secure or “hacker proof.” We therefore cannot guarantee that your PII will not be disclosed, misused or lost by accident or by the unauthorized acts of others. Further, we cannot control dissemination or use of PII contained in User-Generated Content you post on or through our Website, and you should have no expectation of privacy in such information. We will also put in place measures such that your PII in our possession or under our control is destroyed and/or anonymized as soon as it is reasonable to assume that (i) the purpose for which that PII was collected is no longer being served by the retention of such PII; and (ii) retention is no longer necessary for any other legal or business purposes. Third–Party Service Providers. 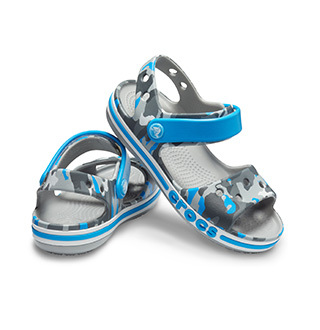 Crocs shares information collected through this Website with third-party service providers who act for or on its behalf. For example, we may use third-party vendors to design, operate, and/or host our Website; to conduct surveys; and to help us with our promotional efforts. These third parties may need information about you to perform their functions. Typically, third-party service providers who receive PII are bound by contract to use it only on our behalf. However, our third-party service providers may be allowed to use two types of information collected through this Website for their own marketing purposes and/or to market the products and services of their other clients. First, we may permit third-party service providers to use aggregate information about how users of this Site behave to market either their own products and services or the products and services of their other clients. Aggregate information provides a picture of how our users behave collectively—it typically does not provide a picture of how any single individual has behaved on our site. Second, we may permit third-party service providers to use AAI collected through this Website to market either their own products and services or the products and services of their other clients. AAI is information about a particular individual (such as a user’s IP address) but it does not, standing alone, identify the individual. For more information about behavioral advertising, see the “Cookies Delivered by Third Parties” section above. Third-Party Social Media Platforms. We may share your email address or phone number with a third-party social media platform to confirm that you use the platform so that we can effectively advertise to you through it. Receiving your email address or phone number for this purpose informs these third-party social media platforms that you are a Crocs customer, and they may be allowed to use this information about you for their own marketing purposes. However, we prohibit third-party social media platforms from retaining or using any email address or phone number we provide to them that does not match one they already possess. In addition, we may provide functionality on our Website that allows you to automatically post information about the actions you take on our Website to a third-party social media platform. If you choose to take advantage of this functionality, people with access to your profile on the third-party platform may be able to see the actions you have taken—for example, the items you have purchased. Thus, you should have no expectation of privacy in those actions. Further, if you choose to link your profile on our Website with an account on a third-party social media platform, we may share the information in your profile with that third-party platform. Business Partners. From time to time, we may share your information with selected third parties (other than our service providers, affiliates, or subsidiaries) for their own marketing purposes, in accordance with applicable law. For example, in cases where a contest or promotional offer is co-branded with or sponsored by another party, you may not be able to opt out of our sharing your information with that party. Rather, you should not participate in the contest or promotion if you do not want us to share your information with our co-sponsor. As Described in a Privacy Notice. We reserve the right to disclose your information as described in any privacy notice posted on a page of our Website where you provide that information. By providing your information on that page you will be consenting to the disclosure of your information as described in that privacy notice. You may also request to access the PII currently in our possession or control by submitting a written request to us. We will need enough information from you in order to ascertain your identity as well as the nature of your request, so as to be able to deal with your request. Hence, please submit your written request at the following webpage and using the online form set out therein. For a request to access PII, once we have sufficient information from you to deal with the request, we will seek to provide you with the relevant PII within 30 days. Where we are unable to respond to you within the said 30 days, we will notify you of the soonest possible time within which we can provide you with the information requested. Note that the PDPA exempts certain types of PII from being subject to your access request. We will also be charging you a reasonable fee for the handling and processing of your requests to access your PII. We will provide you with a written estimate of the fee we will be charging. Please note that we are not required to respond to or deal with your access request unless you have agreed to pay the fee. We will take reasonable efforts to ensure that your PII is accurate and complete, if your PII is likely to be used by us to make a decision that affects you, or disclosed to another organisation. However, this means that you must also update us of any changes in your PII that you had initially provided us with. We will not be responsible for relying on inaccurate or incomplete PII arising from your not updating us of any changes in your PII that you had initially provided us with. You must be at least 13 years old to have our permission to use this Website, and at least 18 years old to register on our site or make any purchases in our online store. We do not knowingly collect, use or disclose PII from or about visitors under 13 years of age. If you are under the age of 13, you can use this service only in conjunction with your parent’s or guardian’s permission. From time to time, for example, because of changes in the law or technology or the way we operate our business, we may ask your permission to use the information we have collected from you in new or different ways. We will do this by sending you a notice by email at the last email address you provided us, asking you to agree to the change. If you do not expressly agree to the change, we may, at our discretion, delete all or some of your PII from our databases to avoid using your information in ways to which you have not consented. Where your PII is to be transferred out of Singapore, we will comply with the PDPA in doing so. In this regard, this includes us taking appropriate steps to ascertain that the foreign recipient organisation of the personal data is bound by legally enforceable obligations to provide to the transferred personal data a standard of protection that is at least comparable to the protection under the Act. Need more help? You can refer to our Help Center or email one of our friendly Customer Service Specialists at email Customer Service.